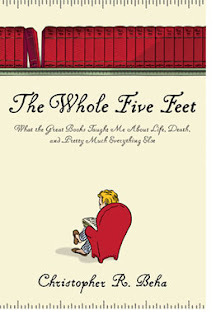 Christopher R. Beha is celebrating the publication of his first book, The Whole Five Feet. Chris is the brother of my neighbor's sister-in-law. He will be in Princeton for a reading/reception on Thursday, June 25, 2009, at 6 p.m. There is a change in venue from the War Memorial this year. 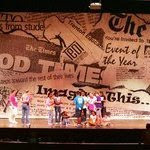 We will be performing at the Hopewell Valley Central High School's Performing Arts Center. 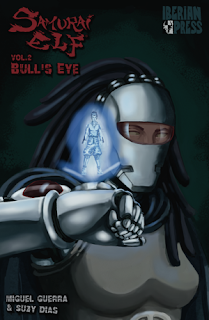 Husband and wife team, Miguel Guerra and Suzy Dias, are publishing a 7 part grapic novel series titled Samurai Elf(R). Your teens (and adult children) will love these beautifully illustrated short stories. You can by them on Amazon too! Suzy is a colleague of mine, a great talent, and hard worker, so I wasn't surprised when she shared these books with me. But, I was in awe. Check them out! For those of you that haven't seen the students of the Trenton Education Dance Institute (TEDI) perform, you must make it out this Thursday evening to see them at their end of year performance titled "TEDI Turns 20," celebrating 20 remarkable years of service to the Trenton Community. 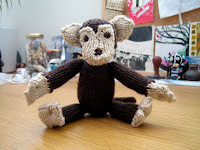 TEDI is an arts-in-education program that I have been volunteering with over the past 3 years. It's an amazing progam that unfortunately might not be able to survive another year if they don't get the funding that they need, so I beg you to contribute to this incredible program. Vince di Mura has been in Sarasota music directing shows for the Florida Studio Theatre. But, he's back North and will be playing keys in 'Nine Bridges Back.' In Komunyakaa's 'Nine Bridges Back,' twelve artists create a collage of text, voices and instruments that address complex histories and personal experiences in the context of the war. Tickets are $15 and can be purchased at www.harlemstage.org or by calling the Harlem Stage box office at 212-281-9240, ext. 19. Director Peter Rhoads and Musician Don McCloskey won the first ever Grand Jury Award for Best Music Video for "Mr. Novocaine" at the 2009 Slamdance Film Festival in Park City, Utah. They beat out big budget videos from major-label acts Fiest, Gnarls Barkley, My Morning Jacket and Adele. Inspired by the book, “The Tipping Point” by Malcolm Gladwell, a connector is someone who acts as a social conduit between many people in many different subgroups. I happen to think that I am one of these people. My people are great. My people are cool. And my people are talented. They should be your people too. Consider this your introduction.